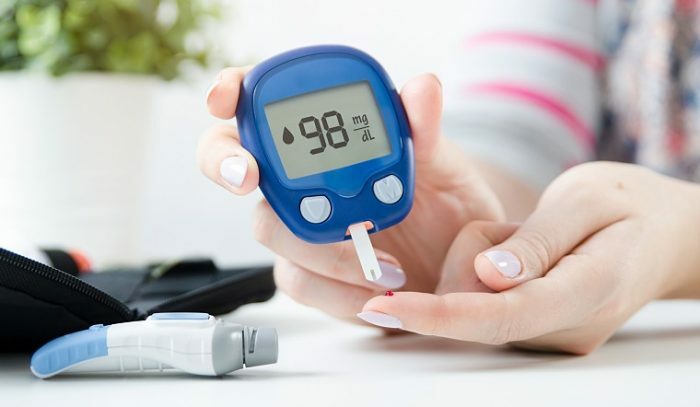 Diabetes, a disorder that causes raises blood sugar levels in the body, is one of the leading causes of disability and death in the United States. It can cause blindness, nerve damage, kidney disease, and other health problems if not controlled. There are two types of diabetes, Type 1 and Type 2. Type 1 diabetes is usually diagnosed in children due to their inability to produce insulin without taking medications. Those with Type 2 diabetes can produce insulin but do not use it efficiently and can lead to long-term complications. Currently, there are approximately 30 million people in this country living with diabetes, which means that one out of 10 people has diabetes. Additionally, there are another 84 million adults in the U.S. that are at a high risk for developing Type 2 diabetes. Weight — Over 85 percent of people with type 2 diabetes are obese or overweight. Lifestyle — People can decrease their risk by 30 percent by staying active. Family History — If a family member has the disease, the risk can double. Gender — Men are twice as likely to have undiagnosed diabetes. Age — The older people get, the higher their risk is for type 2 diabetes. Type 2 diabetes is treatable and can be avoided if people are willing to adopt healthier habits. If you or someone you know exhibits an increased possibility for developing type 2 diabetes, you can lower your risk by making lifestyle changes like eating healthy, exercising, and losing weight or seeing your doctor for regular blood pressure and cholesterol check-ups.